The fifth chapter in the Government Intrusion report shows how government intrusion is global and connected. Before we look at how US technology in video and biometric surveillance are being tested globally, even in China… let me express once more that the purpose of this report is not to lament these intrusions or worry, but to understand them and adapt. The change we see is natural… predictable in its randomness and part of our universal reality. 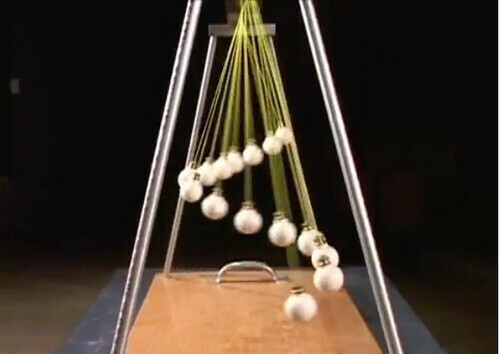 We can see nature’s motion..the way everything goes through phases of order and disorder in an experiment by Harvard students using pendulums. Here are some pictures from a video of the experiment. The video is linked below. 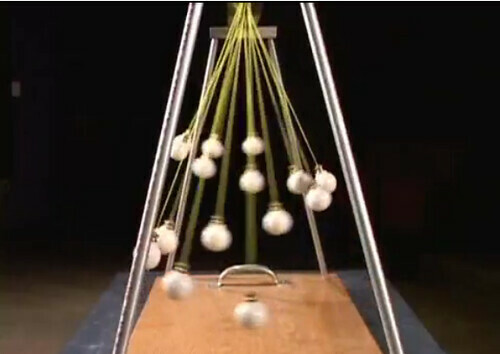 Harvard students built a device with a series of 15 pendulums in a row, each one slightly longer than its neighbor. The resulting patterns in this short video are fascinating to watch. 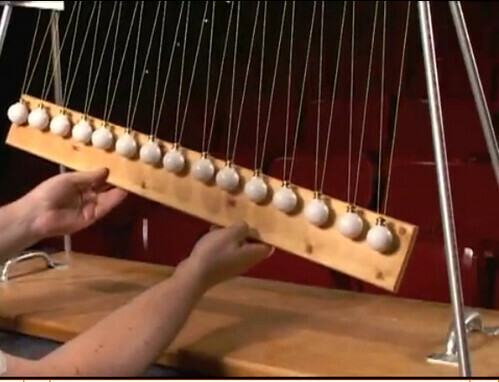 The pendulums of monotonically increasing lengths dance together to produce visual traveling waves, standing waves, beating, and random motion. 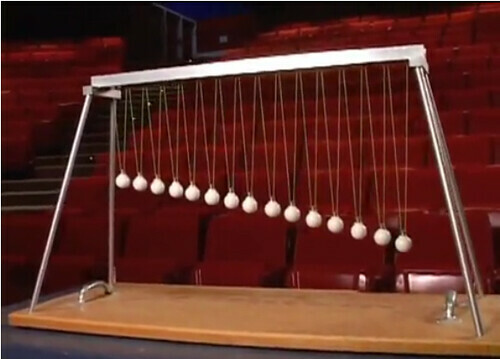 When all 15 pendulums are started together, they quickly fall out of sync—their relative phases continuously change because of their different periods of oscillation. However, after 60 seconds they will all have executed an integral number of oscillations and be back in sync again at that instant, ready to repeat the dance. order… disorder… chaos… back to order. Actually it is all order… just parts of it are so magnificent that the logic does not have the power to see. The purpose of analyzing government intrusions is to understand better, get ahead and adapt. Chapter two of this report expressed concerns about intrusion risks from drones and biometric scanning. Here we can see how US technology with drones, cameras and bio metrics are being tested in Mexico and even in China. Excerpts from an article at singularityhub.com entitled Iris scanning set to secure city in Mexico then the world says: The million-plus citizens of Leon, Mexico are set to become the first example of a city secured through the power of biometric identification. Iris and face scanning technologies from Global Rainmakers, Inc. will allow people to use their eyes to prove their identify, withdraw money from an ATM, get help at a hospital, and even ride the bus. GRI’s eye scanning systems aren’t more secure than others on the market, but they are faster. Large archway detectors using infrared imaging can pick out 50 people per minute, even as they hustle by at speeds up to 1.5 meters per second (3.3 mph). The first phase of the Leon iris and face scanning project has already begun. It is estimated to cost around $5 million and focuses on law enforcement agencies’ security check points. Over the next three years commercial uses will be rolled out with banks leading the charge. Whether you’re jealous or intimidated by Leon’s adoption of widespread eye identification you should pay attention to the project – similar biometric checkpoints are coming to locations near you. Some are already in place. Many companies have developed the means to take an iris scan and use these reference points to match them quickly to a database of scans. The problem has typically been that getting the image of the iris itself is slow and requires people to come very close to the scanning device. GRI has focused on improving the iris acquisition side of the technology, increasing the speed and range of their devices. Not only that, but they are bringing the costs down. This makes me believe GRI’s implementation in Leon is eventually going to exceed anything we’ve seen before. Every other means of access (license, credit card, keys, etc) has the potential of being augmented or replaced by iris and face scanning. Get on a bus, pass security on the way into work, pay for a meal, order packages online – all without using anything besides your eye. The Leon project could make this futuristic world appear in just 3 to 5 years. That’s incredible. We have to put this in a larger context, too. India just launched its enormous effort to digitally identify more than a billion residents using fingerprints, face, and iris scans. Japan already uses finger scans during entry into the country. The EU is working on a variety of passive scanning technologies to help secure airports and other public spaces. Does that vision sound ominous to you? It does to me, and I’m pretty biometric friendly. Yet I’m also fairly cynical. People already have a pretty good handle on my information. Google reads all my emails, albeit in an anonymous way. My bank knows most everything I buy, ditto for credit card companies. As Carter points out, I already deal with these commercial trackers every day. And I’ve opted into these systems. I could pay for everything with cash, but I find the convenience of plastic too great to ignore. While I’m worried about being verbally assaulted by billboards that try to identify me, they’re going to arrive whether I want them to or not. Rather than fight the advent of biometrics, I’d rather focus on controlling how such data is used. This shows how global government intrusion has come to Mexico, India, Japan and the European Union. China has not been ignored. Chinese cities are installing surveillance systems with hundreds of thousands of cameras. The article tells how how recently, a US led fund purchased a division of a firm that may be the biggest maker of videos for a Chinese government program called “Safe Cities”. This program uses a sophisticated and modern program that monitors places where the public gather such as cinemas, campuses, hospitals, and places of worship. The program allows the government to monitor from centralized command centers.. The company is called Uniview Technologies. They manufacture cameras and software they brand as “infrared antiriot” systems. The police or military can share data in real time via the internet through this system. The article says: Previous projects have included an emergency command center in Tibet that “provides a solid foundation for the maintenance of social stability and the protection of people’s peaceful life,” according to Uniview’s Web site. Such surveillance systems are often used to combat crime and the manufacturer has no control over whether they are used for other purposes. But human rights advocates say in China they are also used to intimidate and monitor political and religious dissidents. “There are video cameras all over our monastery, and their only purpose is to make us feel fear,” said Loksag, a Tibetan Buddhist monk in Gansu Province. He said the cameras helped the authorities identify and detain nearly 200 monks who participated in a protest at his monastery in 2008. For those who have read “1984” or “Brave New World”, this can be scary stuff… but every generation has had scary stuff evolving in their lives. Ours just seems to be evolving faster. The biggest problem is one of convenience. Though using a credit card opens up all types of intrusion in the private and government sector we use them anyway because they are so darned convenient. One can choose to opt out. A recent BBC article entitled “The American who quit money to live in a cave” says: Daniel Suelo lives in caves in the canyonlands of Utah. He survives by harvesting wild foods and eating roadkill. He has no job, no bank account and does not accept government welfare. In fact, Suelo has no money at all. Suelo may have shunned all the trappings of modern American life, but he is not an isolationist. Mark Sundeen, author of The Man Who Quit Money, admits many people would regard Suelo’s alternative lifestyle as bizarre. But the 2008 financial crash has led many to question the value of money. He explains some of the lessons found in Suelo’s philosophy. Merri and I in our isolated farms in both North Carolina and Ecuador have gravity fed spring water… abundant food growing on the land and could live there without electricity or external contact with the world. The key though is the word “could”. Dropping out requires changes in lifestyle that most of us are not willing to commit. Since we want the convenience, there is little we can do to stop this intrusion. Our modern electronic world brings huge benefits… but also invites intrusion. Upcoming chapters will look at what we can do. There are rays of hope… plus we can see everyday ways to profit from the change and intrusion. For example Chapter Four of this report looked at the dreaded IRS Form 8938. The conclusion is to adapt and be better at keeping records. The very next day two articles in USA Today outlined benefits we can gain from this. Budget-battered IRS sinks under workload by Sandra Block says: At the walk-in center in East Harlem, N.Y., Belquis Castillo, 40, left in exasperation Monday afternoon after waiting more than an hour. Castillo needed copies of her 2010 tax return so her son can enroll in online college courses, but was told the computers were down. The long waits are the result of the IRS’ expanded workload and diminished workforce, says IRS Taxpayer Advocate Nina Olson, whose 2011 annual report identified inadequate resources as the most serious problem facing taxpayers. In 1995, the IRS had a staff of 114,018 to process 205 million tax returns. In 2012, it has 90,907 people to process nearly 236 million tax returns. For this tax filing season, the IRS has 5,000 fewer employees than it did a year ago. This is a really significant article in my mind published by the largest circulation newspaper on April 17, 2012. The mainline press are the first (after the IRS perhaps) to sense weakness and go for the jugglar… to draw blood. Normally on the last day taxes are due the IRS PR system has managed to get an article in the press about the dangers of not filing tax returns in a timely way. This year the roles are reversed… the press is after the IRS not the taxpayer. Here is a really vital idea that shows a way that some are already profiting (through service) from the power of being organized. Another USA Today article entitled by Craig Wilson entitled “Got Clutter? There’s an expert for that. Craig’s article tells how a CPOs, certified professional organizers are professionals just like doctors and lawyers. Here is an excerpt from his article which I linked below: The 4,000-member National Association of Professional Organizers met here recently, just in time for the annual spring cleaning at your house. You have clutter. Admit it. That’s the first step. “Organizing” is big business and growing, the industry having doubled in size in just the last 10 years. Although there are no firm figures, the industry — including professional organizers and big-box retailers such as The Container Store— is heading toward being an estimated $1-billion-a-year business. Such efficiency comes at a price, of course. Fees for a professional organizer can range from $50 to $200 an hour, depending on the CPO’s experience, the chore at hand and the location, cities being more expensive places to live if you’re messy. You don’t want to be a hoarder in Manhattan. Both the shaky economy and the fragile psyche of the country is working in professional organizers’ favor. There also are trends to be found among the clutter. Cleaning up the computer has become as important as cleaning out the cupboard. The other big trend involves senior citizens. 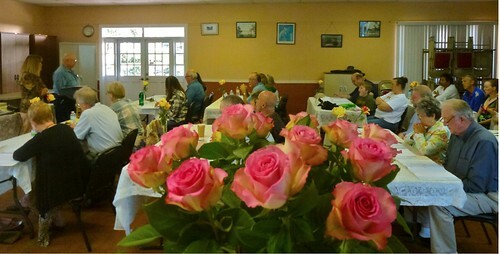 More than 10,000 people in the USA turn 65 every day. “That’s 10,000 new customers every day,” Robertson crows. Ann Gambrell, an organizational consultant in Torrance, Calif., saw this coming years ago. She is one of the five founders of NAPO in 1985, so long ago that when she said she was helping people organize, most everyone thought she was organizing labor strikes. She now runs Creative Time Plus. Kind of like all the stuff stored somewhere in the bowels of our computers. Lauren Halagarda is a CPO based in coastal North Carolina. She calls herself a “technology translator.” Her company, the Organization Connection, specializes in helping people get their digital life in order. Wow… increased government intrusion means we need to be better organized. because the government is intruding because it is battered… its intrusion loses effectiveness if there is organization. Here is some positive ideas we can derive from this thinking. This reality has created an entire new industry… Organizing. CPOs (Certified Professionals Organizers are earnings six figure incomes! Wow! Advances in technology make our lives better in many ways but also create increased government intrusion. This evolution is natural and at times will create apparent chaos… which is simply a greater order that our logic cannot process. Every problem this chaos creates also develops opportunity such as the inflow of increased data to the government, which can overburden its increasingly less dependable staff. Those who maintain increased order during such chaos can be in charge and in very strong positions. Government intrusion even creates new opportunities for tax preparers and other professionals such as CPAs. Next time you think government intrusion, be disgusted Yes. The government has no business in our homes… but since we invite them in through convenience… look for the way that this natural process can also benefit you. One way to profit from change is to be smarter which is why we include super thinking tactics in our Writer’s camps. 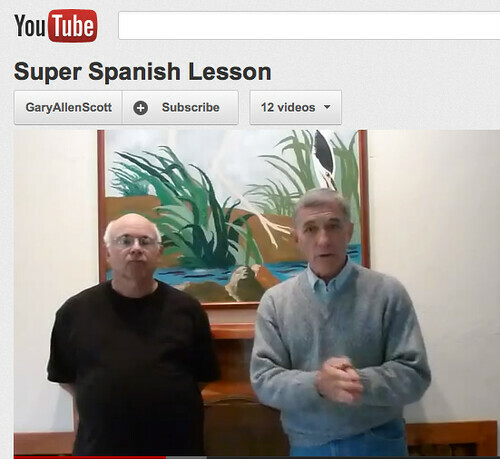 Learn Super Thinking and Spanish. 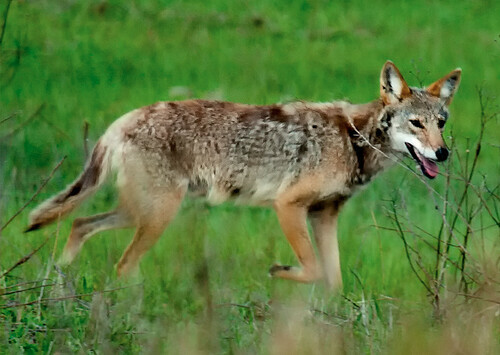 The essence of the coyote is interesting and we can gain from it but NOT just because these wily carnivores are smart. Good friends from B.C., Dennis and Nicki Goff, visited us not long ago. Dennis is a really good photographer… an incredible eye. At sunset he saw more than this dead old tree in our back yard. He saw “Wiley Coyote”. Here’s an idea how we can use reflection on the coyote’s essence and this totem to retire from the rat race early. Last Sunday morning I headed into the wild to take some wildlife photos. I am lucky to have a lot of land around me. 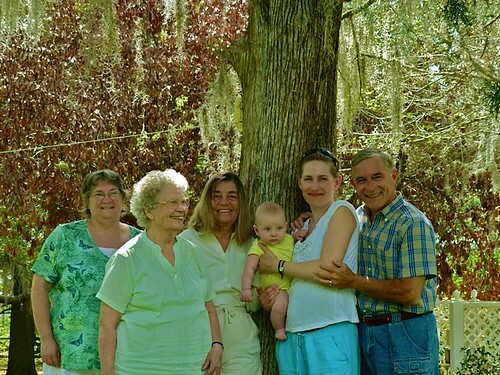 Our home in Florida is very close to the Ocala National Forest. At 383,000 acres this is the largest contiguous scrub forest in the USA. Up at three… and after a coffee I’m on the road by 3:30 to get into place before the sun’s up. Our Super Thinking courses are based on learning to master BWI (Brain Wave Integration) so all the frequencies (Beta, Alpha, Theta and Delta) work together. Talk about BWI! Driving alone in the dark is one of the best ways to put your whole brain to work. 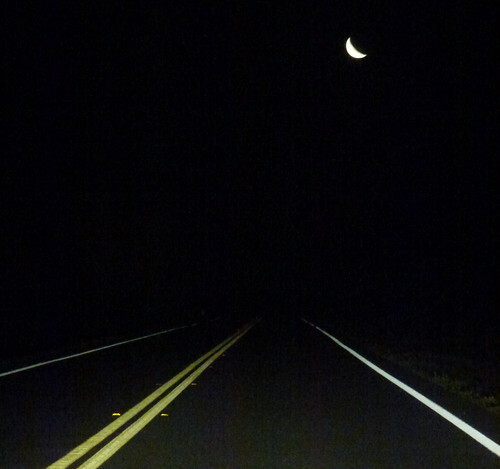 headlights, an empty highway ahead lullabyed with a gentle hum of asphalt. I hurdled into the dark. My mind wandered reflecting on coyotes. Shortly after the Goff’s, visit the coyotes started really howling here… at night and even in the day. Our hound has been going bananas at the sound. In fact there are so many coyotes in the county that they are killing cats, dogs… they even trapped and killed a small horse in its barn. We have a pack of them living in the woods not to far from our house so we watch our hound carefully. One thing we have learned over the years that these hounds are not allowed to go outdoors at night (both here in Central Florida and the Blue Ridge) except with us and they are on our leash! The coyotes let loose with their yelping as I headed into the darkness of early morn so I was reflecting on the spirit of the coyote as I drove through the darkness of pre dawn. Coyote photographed in Lake County by Michael Libbe photography. See more below. Actually I was reflecting on reflecting. Recently I began a report on government intrusion. This report is about new technology and how governments might use it. I was thinking about… “How do we get ahead of the curve?” Most readers tremble at what governments might be able to do with new inventions. They have so much concern that they stop thinking about the positive ways governments can use inventions. Even more important if we aren’t careful, we forget to focus on how these advancing innovations can benefit them in the private sector. Evolution is all about thrust and counter thrust. We cannot stop evolution but we can understand and gain its advantages. In other words, I was sort of thinking “bring it on” and I’ll try to filter out and or protect against the bad and take the slices of advancement that bring gain. One way I try and do this is to think beyond the box. I try to escape the tyranny of reason. One way I use to do this is to look for and reflect on omens. My wandering thoughts along the darkened road were about reflections on “Animal Speak”. This is a really great way to get our thoughts… so shaped by TV’s Talking Heads, daily newspapers, weekly magazines and mainstream websites. Omens are so apparently random that they force us out of the box. Isn’t that lack of logic… this total disorder from the social norm the perfect brainstorming bait? They give one the ability to laugh at one’s own mistakes, placing the North Star, shape-shifting, teaching balance between risk and safety, trickster, devilment, cunning, wisdom, folly. They are known as the great one and the foolish one – they don’t consciously try and trick us, rather they reflect back to us our own capacity for being clever and stupidity. When we are being too serious about life, Coyote may appear to teach us to laugh at ourselves and life’s ironies. They also remind us that whatever we do to others will be done to us. You get back what you give out. The Coyote teaches how wisdom and folly go together. In others mistakes we see our own foolishness and can learn from their mistakes. The coyote’s energy is linked to simplicity and trust, spurring renewed innocence and a childlike wisdom in the world. Although they prefer open grassland and thinly wooded brush, they are able to adapt to almost any environment. This means that they have been able to survive and flourish, growing in numbers – in spite of humans interference who for a long time have been trying to wipe out coyotes by trapping, shooting or poisoning them. If coyote enters your life, you must look at something you have been avoiding. They are mirrors for the lessons we must learn so we are able to walk a good sacred road. The mirror will be held up incessantly until we finally get the picture. If you are stuck in a rut, call on coyote as an ally for negotiation. Or be grateful that he showed you a trap that you are caught in, or a way that you are fooling yourself. Powerful teachers when it comes to relationships coyotes are, as it is when we are in a relationship that we often fool ourselves the most. Coyote is not out to get us, but to teach us, whether we are willing students or not. When you are thinking about government intrusion… keep it simple… learn from the foolishness of those in the government who try to trick us and eliminate that same foolishness from our own lives! Let’s adapt to the environment. Let’s not ignore, but take advantage of the cleverness that we see in the foolish ones and most of all remember that this is life. We can follow it with childish enthusiasm… and we don’t need to take it too seriously …and I always like to remember that what we get back is what we give out. This seems pretty abstract… looking at business, investing and the problems of staying ahead of changes created by technology, but there the native American totem was based on a very natural logic. Those who lived these lands realize that the symbolism of every act is what counts. These lessons we can learn from the coyote are less about the canine. We gain from the underlying symbolism they represent as a reflection of nature. That was what was beautifully revealed in Dennis’ photo a totem pole – carved by the forces of nature to guide our thoughts naturally past the restrictions of the social normal to Beyond Logic. The ancients had figured out that when our brain waves integrate, we gain added power in all our actions and thoughts. These are powerful lessons about government intrusion from the spirit of the coyote. They can help us be better and retire from the rat race at any age and at any time! Our Super Thinking courses help learn how to let the mind wander in powerful ways! 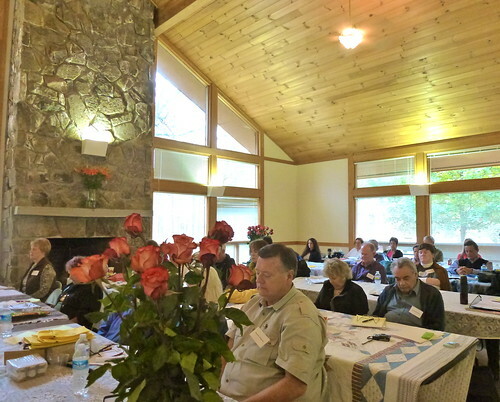 Learn how to use Super Thinking to write and earn more at our Writer’s Camps. This is the beginning of a report on government intrusion in the affairs of mankind. To begin let me introduce one of my less known personas. 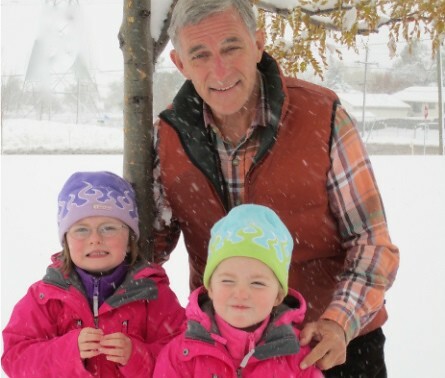 If you have known me for long… I am Gary Scott but in a tighter knit community I am “Papa Socks”. 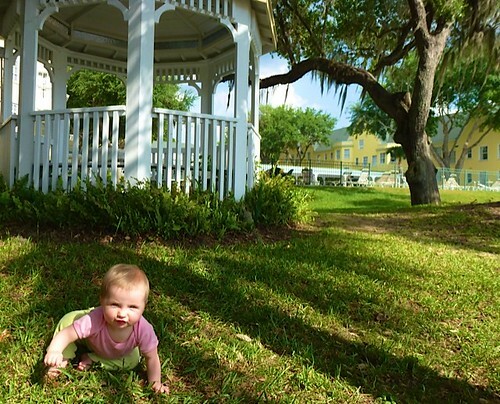 Our granddaughter, Sequoia, coined the name when she was just beginning to speak. “Papa Scott” ascended to “Papa Socks”. Either it was easier to say or she knew socks better than scots and the name stuck. It is in my roll as papa socks that these thoughts on government intrusion began. Having a global view is wonderful… filled with personal growth, fulfilling experiences and expanded horizons. The downside is that this can be hard on the unity of the family. In my case our children are spread around the world at times on three continents separated by vast time zones. At times we have had to go years without being together. So these last couple of months have been an extra delight for Merri and me. 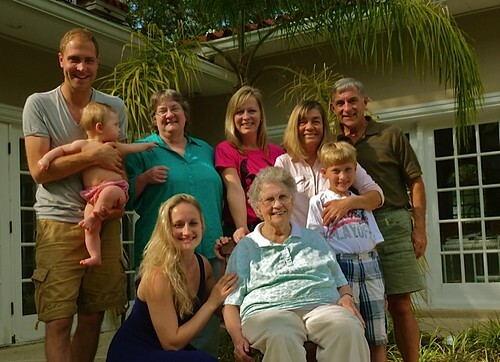 our son, Jake and daughter Cheri and grandson, Garren, came to be with us at our Florida home. As they departed our daughter, Francesca, arrived from London with her husband, Sam, and our newest grand baby, Leo. Then my sister Sandra (left), and mom arrived. Here we are Sandra, mom, Merri, Leo, Fran and Papa Socks. Finally our daughter, Eleanor, and her husband, Ben, arrived from London with our new grandaughter, Matilda. This is when the government intrusion first hit. 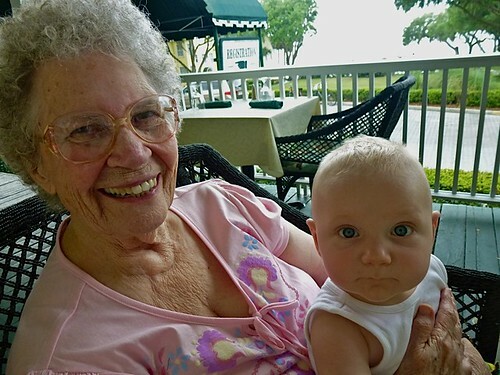 Mom is about to turn 90 and on her 80th she decided to quit traveling. Nothing has been able to coax her out of Oregon until two new great grandchildren brought new temptation which I played to its fullest. On her departure from Portland International, though we had been informed the rules had changed… TSA made her leave her wheel chair and gave her a thorough body search. I thought this was a bit intrusive. Well done TSA… I am so glad you kept the world safe from my mom. She looks pretty risky. Let me be clear. I am all for good airport safety. 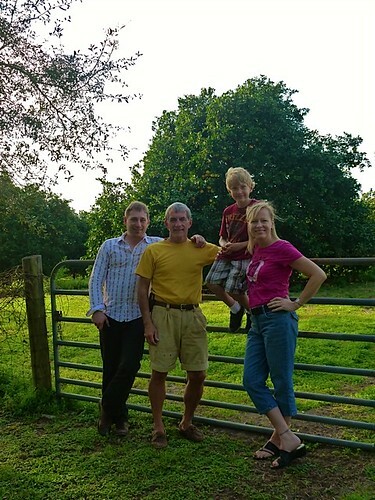 Our three youngest children, lived with their British mum and went to school in England. We always flew them back and forth on Pan Am. They were scheduled on Pan Am flight 103 December 22, 1988 one day after the Lockerbie disaster. That taught me such a lesson about fate and the abundance we enjoy. Had I battled to have one more day with the kids. Had the mom wanted to have a tea party or attend some event one day sooner… had their school let them out one day early… how life would have changed… as it did for so many. What blessings we have and how hard it is to understand and determine why. Sometimes I get survival guilt just thinking about this. So when it comes to good airport and airplane safety, I am all for it. There is a great book about this by the way entitled SKYGODS. More on SKYGODS in a later chapter of this report. I recommend you read it. Yet where does common sense come in and where does efficiency start? TSA agents busily frisking an 89 year old might miss something somewhere else of importance. Where does government intrusion stop being a good thing and when does it outweigh the benefits? Yet I have not reached the point that determined me to wrote this report. That point came from my new camera a V-Lux 30. Let me hasten to add that I am not a good photographer by inclination. I take a lot of photos and have learned a little but before this website began… cameras and me… oil and water. I’ll skip the story about taking all the photos for a wedding once and when no photos turned out. I stared clicking away (I have tens of thousands of photos at my Flickr account) with a little battered after time Sony point & shoot until I learned when floating down the Oklawaha River in a kayak it is best to keep your camera in a water tight bag. 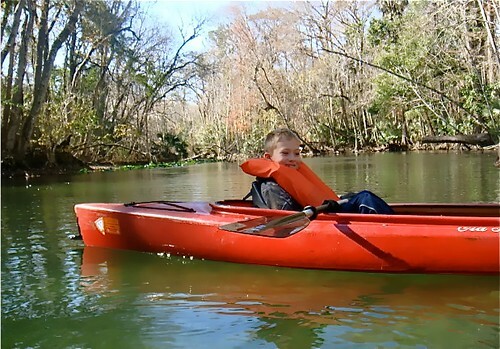 Photo of my grandson Garren I took with the Sony before I tipped my kayak. Fortunately the memory card was not water soluble. This incident led me to a Canon point and shoot… a bit better than the Sony but still at the bottom of the rung as far as cameras go. My cameras by the way have to be small because a photo from a not so great camera is better than no photo at all and I would never lug a big camera around. Merri knew I needed something better and told Santa who left my Leica under the Christmas Tree. The Leica V-Lux 30 is a bit larger than the Sony or Canon I had but still small enough to stuff in my pocket and it has three advantages I have figured out use, a better lens… the ability to shoot multiple shots quickly and has a 21X telephoto lens great for getting a full moon or being sneaky with a shot. There is one feature I had not figured out which finally leads me to the intrusion story. 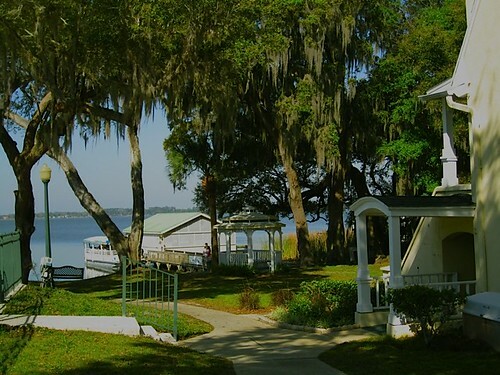 While the children and grand kids were here one of our trips was to the Lakeside Inn and the Lake Dora boat cruise. This is a wonderful trip into a beautiful part of the world. Lake Dora at Lakeside Inn. I was busily snapping photos of Granddaughter, Matilda. Idyllic warm sun… cool shadows… gentle breeze, surrounded by four generations… perfect… nothing could intrude… until advertisements for the Mt. Dora Trolly started appearing on the screen of my camera! The Leica has a GPS and in fiddling with the dials I must have turned it on. Someone (via a variety of programs and algorithms) had figured out who I was and where I was and was sending me commercial advertisements though my camera! That incident really set me thinking. Of course I could turn the GPS off. Of course this was commercial intrusion and not government. This was a small incident but huge in the realization how far we have become dependent on technology that eradicates our privacy and allows intrusion in our lives. Since the 1970s, my books and reports have looked at how to become independent… global and how to protect assets. Yet all this is changing. The basis of independence in the 1970s was being multi nations… to live in one country… bank in a second with a corporation in a third and an office in a fourth. This would still be effective approach except governments have now learned a new tactic. They do not regulate the person… they regulate the medium. Because governments did not like bank privacy, they did not create anti bank privacy laws that regulated the public. Instead they created “know your customer” and reporting laws on the banks. Governments globally took control of the banking system so their intrusion could even go to national levels. A March 2012 Reuters.com article entitled “Payments system SWIFT to expel Iranian banks Saturday” shows how this works when it says: BRUSSELS (Reuters) – The world’s biggest electronic payment system on Saturday will cut off Iranian banks blacklisted by the European Union in an attempt to further strangle Tehran’s ability to finance a nuclear program. Belgium-based SWIFT, which facilitates the bulk of global cross-border payments, said it would disconnect designated Iranian financial firms from its messaging system on Saturday at 1600 GMT after European regulators ordered the company to do so. SWIFT, or Society for Worldwide Interbank Financial Telecommunication, has been described as the glue of the global banking system, handling daily payments estimated at more than $6 trillion. Expelling the designated Iranian banks from SWIFT will shut down a major avenue through which Tehran does business with the rest of the world. The West hopes that will pressure Iran into curbing its nuclear program. “The joint action of the U.S. and EU sends a strong message to Iran that we are serious about imposing punishing sanctions,” said U.S. Senator Robert Menendez, a Democrat who pushed to make the expulsion of banks from SWIFT part of pending U.S. sanctions legislation. In this case the government’s intrusion has the ability to deadlock an entire nation. Please note by the way that this is NOT the US bank clearing system. This problem has long gone beyond just the USA and is global. The way these events sneak up on us is that their first time around… they seem very logical. Had TSA body-searched my 89 year old mom in a wheel chair after an airplane bombing… this would seem to really make sense. To use the monetary clearing system to stifle Iran’s nuclear ambitions… we can understand. Once the intrusion has been accepted in this big way… the insidious nature begins… petty… frustrating at its least, even dangerous and malevolent. For example after I created the Pension Protection Workshop I received this letter from one of our bankers abroad. Hi Gary, Yesterday the largest Danish Sunday paper ran a front page about how the US since 9-11 has tightened the net when it comes to money transfers. A Dane has for years had a small company selling brandies from around the world and cigars from The Dominique Republic and Cuba. His cigar supplier closed down and he established a new relationship with a German importer of Cuban cigars. In October he bought Cigars totaling USD 24,000 from the supplier. He wire transferred the dollars to the seller but the transfer was intercepted in the US by the US bank. The US finance ministry has since then confiscated the funds and told the buyer of the cigars that his funds are confiscated. The reason is that the US has a trade embargo against Cuba and even though the trade did not involve the US or any US persons the funds were confiscated. This may just be one of many incidents but it made it to the front page yesterday and all involved parties are naturally stunned that the US can impose its Cuba trade embargo on Sovereign states not having such an embargo and confiscate funds in a deal between a Danish and German company. Question #1: Why would the US government grab a German’s money… sent to a Dane over an embargo (Cuba) that is nearly through? 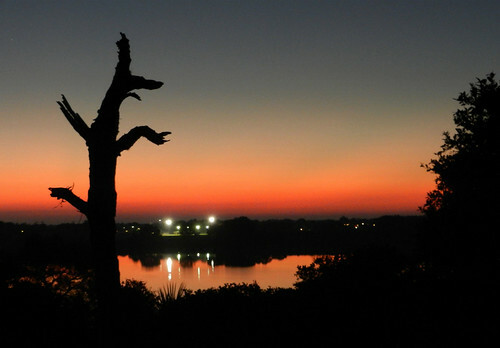 A recent New York Times article said: ALWAYS wanted to visit Cuba? Well now you can — legally. An ABC News article wrote: To visit Havana. Nowadays, you can fly there by charter — that is, if you have close relatives there; if you agree to visit only once every three years; and if you cap your spending at $50 a day. Yes, the Cold War against Cuba continues. The loss of goodwill in Europe for the average American is huge and the bureaucratic fallout will far outweigh $24,000. In other words, you and I as tax payers are forced to finance a process that hurts us. That’s terrible but is the least of the worst because the only logical conclusion I can reach is that this seizure was just a test to see how effective the Fed’s control over money really is! However, it could be that this action was political and taken due to the upcoming Presidential election in the USA. The Cuban exiles still have a powerful political machine. Could this terrible precedent be created just to pander to that group? Or the US government could be testing its ability to lock down the wealth of money belonging to anyone… anywhere…. anytime… in our pensions… in our bank accounts… wherever in the world. If so this is wild. This use of the international interbank system against nationals of other nations will have angered the other growing and important economies Japan, Germany, Brazil, Russia, India, and China. They have been looking at alternative currencies and how to get around using the U.S. dollar already. This will accelerate this process and hurt the greenback in the processs. Question #2: How do they know that the money was intended for Cuban cigars? The sad answer is that US has tracked payments through the Society for Worldwide Interbank Financial Transactions (SWIFT) since 9-11. In 2010 the US did a deal with the EU where the EU allowed the US to track all SWIFT payments through the European Police entity, Europol. Whenever anyone transfers money by wire they now have to explain the purpose of the transaction and this gives big brother the opportunity to watch everything. This seizure shows that the government really is watching to have out of millions of daily transfers to have picked up on this one deal. How petty can they get? Could they for example track photos from my camera or yours and decide if they should be shared or not? That’s pretty petty but I think so and who knows what technocrat might think that you or my photos are more offensive (or politically incorrect) than Cuban cigars? Question #3: What can we do about these intrusions? Since the 1970s our business has focused on how to earn globally and be a multi national investor. Our Mantra has been to have a Six Point Command Posture. We have helped tens of thousands of our readers gain freedom and to escape the tyranny of the establishment through international investing and business and invite you to learn more about how we can help you gain such freedom in the process of doing what you love as well. #1: Our report on multi currency investing. #2: Our online courses on how to live and earn globally as a self publisher. #3: Our writer’s camp on how to live and earn globally. The entire seminar is normally available on MP3 for $299. I want to give it to you free. Order any of the three programs above and I’ll include the entire seminar on MP3. You save $299. Order our pension protection workshop ($49) here. 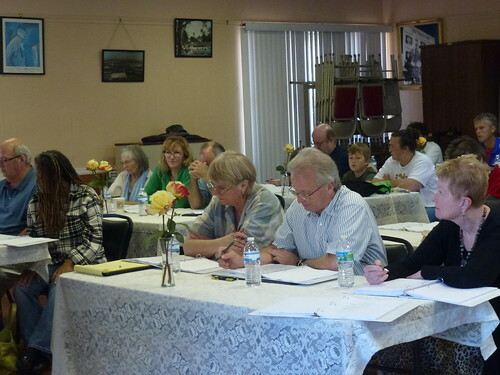 Our July 2012 writers camp is filled. See two new dates for June and September.